The arts of Japan are inseparably associated with nature, whether through themes and subjects associated with seasonal change or through the shape, material, and decoration of objects. 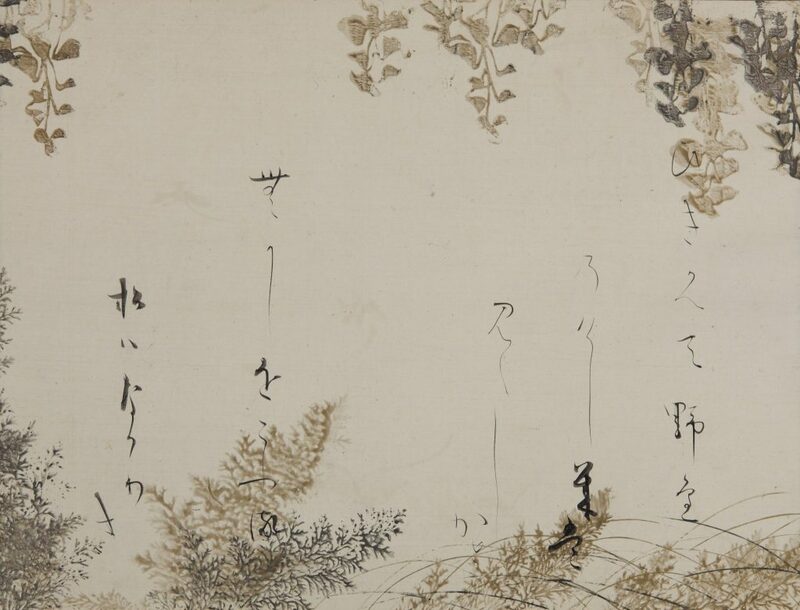 This installation focuses on flower and bird subjects, a particularly popular theme during the Edo (1615–1868) and Meiji (1868–1912) periods and one that continues to find enduring resonance in the modern era. The arts of Japan are inseparably associated with nature, whether through themes and subjects associated with seasonal change or through the shape, material, and decoration of objects. This installation focuses on flower and bird subjects, a particularly popular theme during the Edo (1615–1868) and Meiji (1868–1912) periods and one that continues to find enduring resonance in the modern era. The establishment of the capital at Edo (now Tokyo) in the early seventeenth century resulted in an expanded patronage base that provided new opportunities for artists. A growing interest in botanical studies, flower arranging, and gardening also served to enhance the popularity of natural motifs. Whether through form, decoration, and/or glaze color, these objects embody the diversity of the natural world.